November 5th, 2017: Once again, we are shocked. We pray. We grieve. For people in a small church in Sutherland Springs, Texas. For the mass of people wiped out by a maniacal shooter who decided to walk in and kill people. At this writing, the "reason" for his rampage is unknown. And I want to submit it is far less relevant than another issue. HOW TO KEEP IT FROM HAPPENING THE NEXT TIME. These monsters have proven for decades now that we can pray till Hell grows cool, but they will continue to target houses of worship to kill people. How many churches have been shot up in the last 20 years? How many people killed? How many have to be killed and injured before church leaders decisively and permanently provide the security needed to stop this kind of atrocity? That means decisively and immediately implementing either trained, state licensed, clearly identified, armed security, or contracted or employed, fully uniformed police officers. 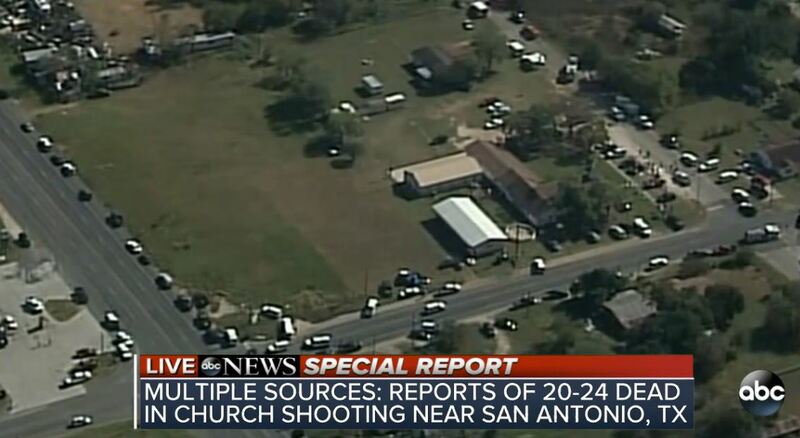 In sufficient numbers to cover the places that a shooter could enter and/or operate. Not just a token "security guy" to "watch things". Churches exist in virtually every inhabitable location in America, and these type shootings will happen in the largest cities to the smallest towns. Churches are some of the most identifiable, consistent targets in the country. The same numbers of people year after year, gather on the same days at the same time day after day, month after month, year after year. Perfect targets for maniacs or terrorists, some being one and the same. What church leaders across the country can't seem to come to grips with is the the controversy wrought by visible armed security. Somehow they deem not having to deal with that more important than securing their congregations from sudden death from a random murderer. Yeah, it costs money to provide official, armed, capable security of any kind. But it now should be understood that if churches do not implement sufficient security, able to quickly dispatch a shooter, their congregation could be next. People dead. Because money is not budgeted for security during mass gatherings. Church Leaders, it's your watch. People walk in to their places of worship with a sense of safety. Without specific, and ongoing action, at this point, that is a fantasy. No place where people gather regularly in numbers is safe. Take action. It's on you to present the financial concerns, the danger, the work involved. It's up to you to put together the teams. It's up to you to keep your gathered congregations alive while in church. I for one, among many across the nation, will pray for you as you navigate these waters.